Once summer arrives we pretty much abandon our oven and move most of the cooking out to our grill – especially since we’ve moved to our house and upgraded our grill. 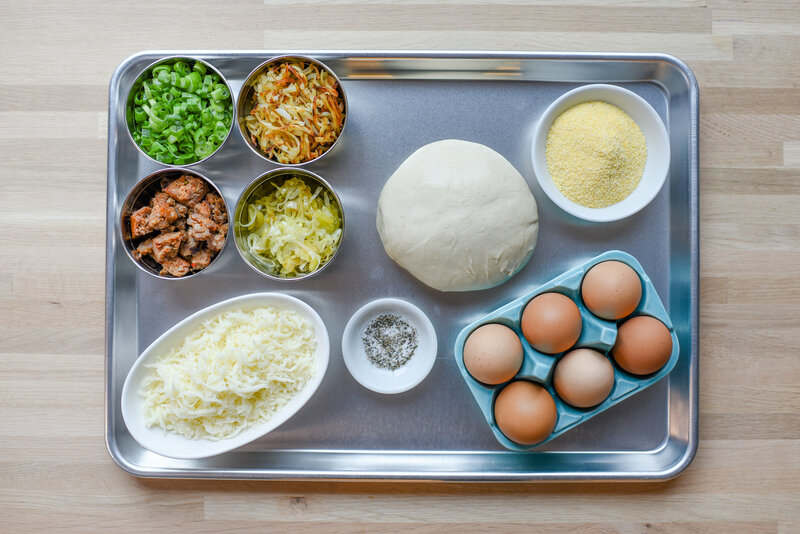 We have started a new weekly tradition of making our own pizzas – usually on Friday nights just like I did with my own family growing up. 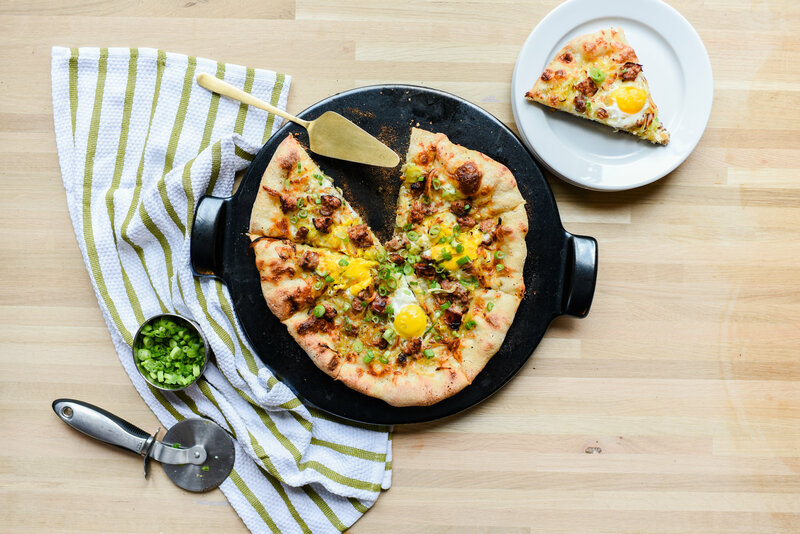 When my friends at Peapod asked me to come up with a fun new grilling recipe, I knew I had to focus on pizza. Pizza on the grill has so many advantages: it cooks fast, the crust gets crispy, and the cheese and toppings get that perfect golden brown. 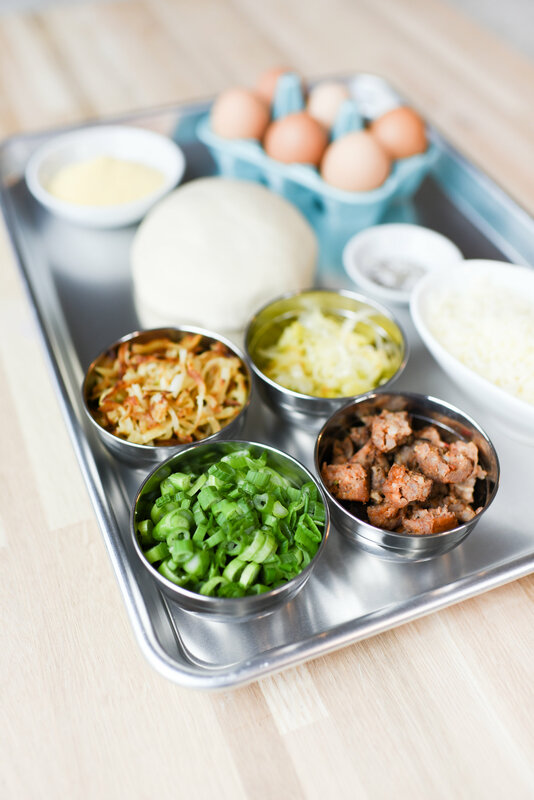 We use an inexpensive pizza stone and experiment with all sorts of different recipes. Recently we met friends at a brewery, and since we all have kids and wake up at 6am on the weekends, happened to be there for lunch around 11:30am. On their menu was an amazing breakfast-inspired pizza that we promptly ordered and devoured. 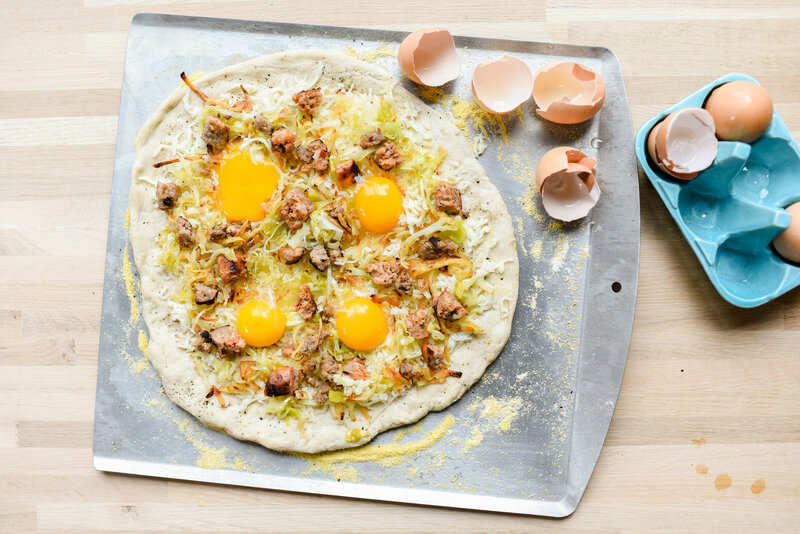 I looked at my husband and told him I had to make own version of this breakfast pizza on our grill at home. It’s a tough job, testing pizza recipes, but someone has to do it! 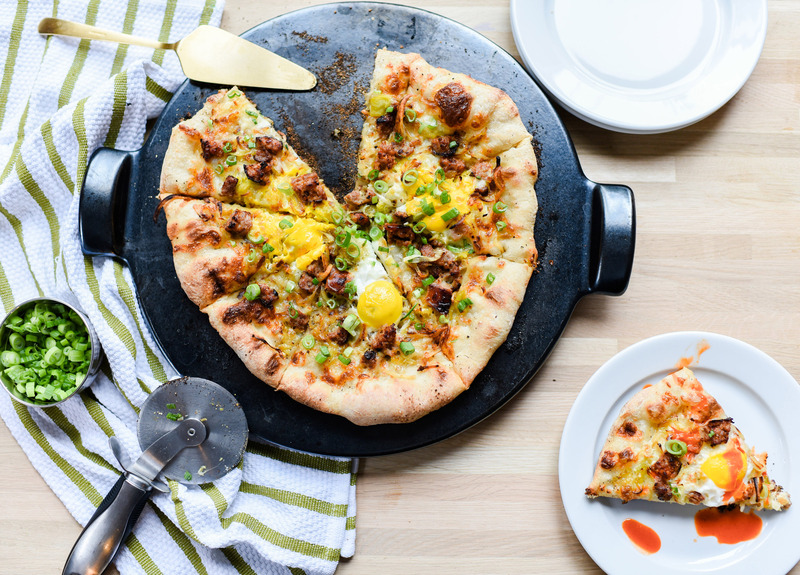 After a few attempts I settled on a classic pizza dough and mozzarella combination, topped with spicy sausage crumbles, crispy potato hash browns, sautéed leeks, and a few runny egg yolks. Scallions and hot sauce were the finishing touches before digging in to this new brunch staple at our house. Get the full recipe below! 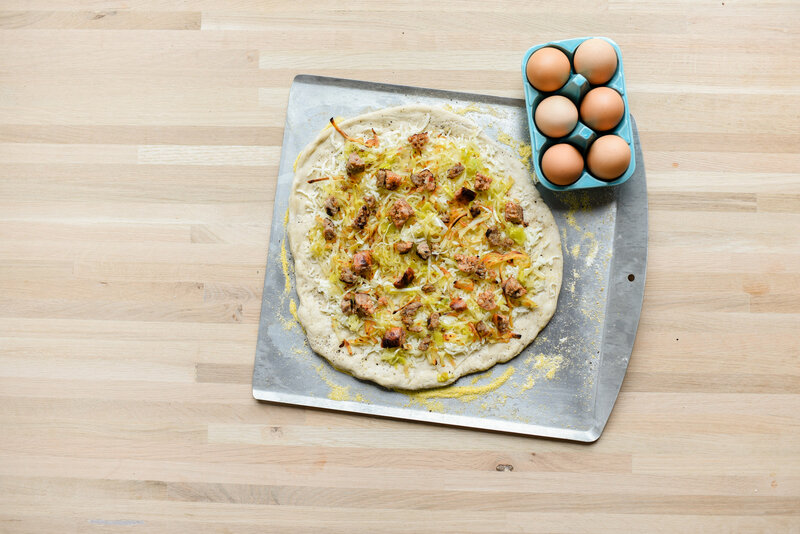 Slide the pizza onto the hot pizza stone on the grill and cook for 7-9 minutes until crust is golden brown and eggs are cooked to desired doneness. Top with scallions and hot sauce before serving. This post was created in partnership with Peapod. All opinions, images, and content are my own. Thank you for supporting brands that support this site. Farmer’s Market Pasta. Patriotic Chips and Dip.